One of my favorite movies as a kid (and still) is the Wizard of Oz. It is a classic! And, I was thinking just the other day how my 1 year old dog is almost the refection of the cowardly lion. I think he would even hold his tail and wipe his eyes with it if he could! Courage is his “Achilles Heel”. Maybe he was using the bathroom when God handed out courage. Sometimes I think he could use another dose of brain too, but I am thinking that is because he is just a one year old baby. I wish we could scurry down the yellow brick road and get him an extra dose or two. I have been trying to build his confidence and appreciation for people for over a year now, and we have had little improvement. I think genetics play a huge part in personality and how pliable we or our furry best friends can be. That is not to say that his mom or dad was not confident, but I believe he has always been a bit of a skittish puppy (and I am being nice to say “bit”). When he was 8 weeks old and saw his first cat (while we were vising my friend at a shelter) he screamed and wet himself. In hindsight, and if I am being honest with myself (and you) and can say this is when I knew I was in for a project. But I am all heart when it comes to dogs and puppies as much as I tell myself I am looking for a certain thing (like a confident dog) and can’t bring myself to give up on one because he or she is not perfect. I fall in love in about 2 minutes (seconds to be fair). When I am looking for a potential working dog, or a dog to trial with I inevitably say “If he doesn’t work out, I will find him a home and get another”; but who am I kidding? I am just the kind of person who is in it for the long haul. I know this makes me look weak to those that compete, but just TODAY I have realized, perhaps I am the strong one to make a commitment and make it stick no matter what. He is a scaredy cat and I am afraid to some degree he always will be. I will continue to build his confidence and teach him the world (and my hair dryer) aren’t going to kill him but I have to acquiesce to who he is as an individual. Because even as a professional dog trainer I can’t change inherent personality; we professionals want everyone to think we are perfect we can fix or cure anything and I am here to tell you we can’t. I may be able to hide it and to control him and his environment but I can’t change who he is inside. When it comes to dogs that are afraid of people, it is your responsibility to keep everyone safe. My dog is aloof, he doesn’t like people but he isn’t outright aggressive toward people. However, he doesn’t want to be petted by people he doesn’t know. If I force him to accept human affection (that he doesn’t want) I set him and an unsuspecting dog lover up for a bite. I will allow people to toss him or hand him a treat, but I am not comfortable with people petting him. He was well socialized as a puppy but never really liked interaction from people that he didn’t know. Now that he is over 6 months, I don’t want to risk an aggressive incident so I keep him well controlled with obedience and tell people not to pet him. I Don’t Want to Yell at Him When He Growls…. 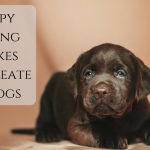 As bad as that sounds, dogs have a warning system; growling, snarling, hackling are all signs that they don’t want to continue doing whatever is making them uncomfortable. 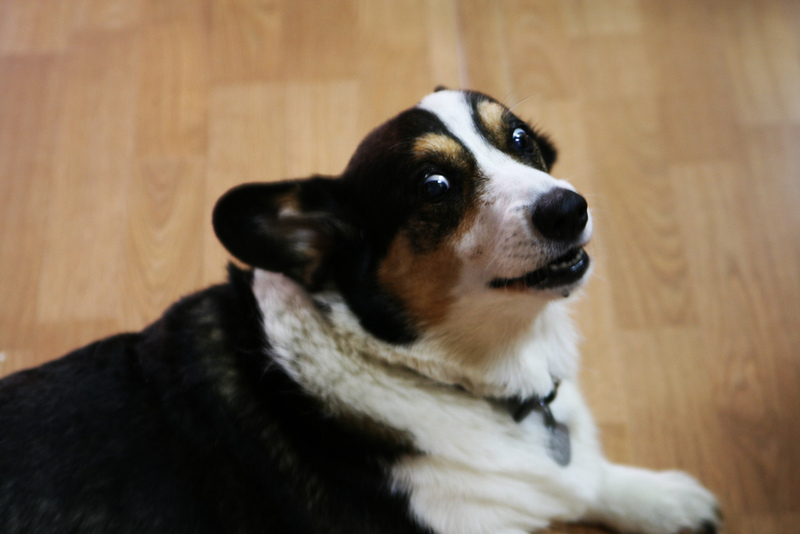 When we yell at a fearful dog or correct them for showing natural signs of distress, we are telling them that the warning sign is unacceptable and this is why fear biters often seem to go from 0-100 and bite with what seems like no warning. We aren’t changing the feelings of misery that they are suffering from we are only impressing on them that the warning system is wrong or they are bad for showing these signs. I will be the first to tell you that the idea of my dog growling at someone makes me extremely uncomfortable, but I know once he feels that way to chastise him would be futile and ultimately detrimental. To some degree I want him to think he does have some control over what happens to him and his body. What I try to do is to make him comfortable. By not allowing people to pet him or get into his personal space “box” I teach him to trust me. By trusting me, he can let some of his fears go and not worry that someone is going to pet him or touch him when he doesn’t want to be touched. To force him to be petted by someone who makes him uncomfortable would ruin our trust and teach him that he has to do whatever he has to; to keep himself safe. I would never take him to Chucky Cheese or the park when it was filled with a festival or lots of kids. He simply is not confident enough to not worry about EVERYTHING that is going on around him under these circumstances. Instead I socialize him slowly by taking him to dog friendly environments and having people with dog skills give him treats and talk to him with no expectation of touching him. This allows him to warm up at his own pace and not feel scared or pressured by anyone else much less me. I also teach him to ignore everything that is going on while he gives me eye contact and obedience. This helps him to desensitize and feel as if he is in more control. I continually work on his confidence at home, we try and make the hair dryer a fun time filled with treats and games and we work together on any other fears we see crop up. I don’t want to ignore his fears because this won’t help him to conquer them and feel better. Instead I want to help him build his confidence so that his new found assurance will spill into other parts of his life and hopefully his interaction with people. But, most of all I don’t want to force him to socialize with people when he is scared and uneasy. This puts him at risk to bite and the unknowing person at risk to be bitten. And, it is my responsibility as his mom to make sure I don’t have to euthanize him for biting someone and I don’t risk someone’s wellbeing by letting them get bitten. As with any desensitization (more on that here) I go at his pace and work slowly. I love him no matter what; I just want to keep him safe and happy! I have a staffy bull, he is 8 months old and is EXTREMELY Friendly, but I don’t want him to be that friendly. I want him to pay attention to me, instead of trying to run 9-0 to someone. Can you tell me what to do about this? Carry treats and toys and make sure his focus is on you and that, that is rewarding. If he gets such love and affection from everyone else it is hard for him to give that up and pay attention to you if that is not as rewarding. I have a dog that doesn’t necessarily “like” other dogs. She is not dog aggressive, but also not dog friendly. But I can take her anywhere, including the dog park because she knows if she ignores them and looks at me..she gets her reward (her ball). 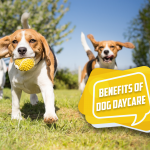 Try rewarding him for paying attention to you by letting him interact with the people/dogs he wants to see. If he can SIT/give eye contact, release him to Say Hi. Call him back, and release him again. If you stop making other people entirely “off-limits,” and instead use them as a reward, you can actually drive the focus onto yourself. These are the concepts in Leslie McDevitt’s Book “Control Unleashed.” I recommend reading the “Puppy Program” version as I have been told it is better organized. It is likely the most important book I have ever read on dog training, and I don’t even do agility. Not all dogs have a desire to say “HI” at all, and he is one of them. Being close to a stranger causes him distress and fear. 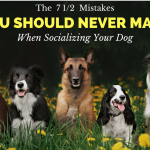 It is best for his focus to stay on me until I see, through him that he has any desire to socialize and until them forcing or encouraging him to socialize may end in a bite. @Minette – I know not all dogs have the desire to say hi. My comment was in reference to the “overly-friendly” dog who can’t focus on his owner. For your dog, I concur with your methods and I would even use the reward of being allowed to LEAVE the stranger (a la Grisha Stewart’s Behavior Adjustment Technique). I use the same technique for my dog when we are around other dogs: if she is calm, either the dog disappears or we disappear. If she reacts, I remove her to a distance where she can be calm so that we end on a positive note, and then either the dog disappears or we do. 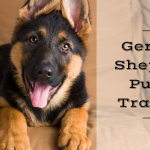 All in all, I think your article was written very well, and it goes along with the fact that I always tell my training clients not to correct a growl, and to never let a stranger touch your dog if he does not look 100% happy and confident. Angie, it sounds as if your confusing your dog being “friendly” with being overly excited. You can redirect and correct every time that you consider his excitement over the top and ask people not to talk to or touch him until he settles down to more acceptable levels. If you do this consistently he will learn that he will not receive attention until he is more calm and relaxed. 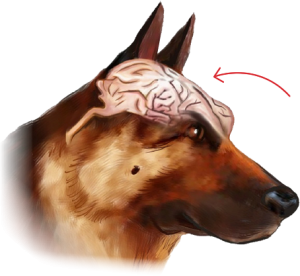 Everyone likes a friendly dog but most people don’t appreciat a dog who is out of control. I think that’s “The best defence is a good offence”. Yes, I agree completely with your treatment of shy dogs. You are right, I must have had a dyslexic moment! I can relate to this article. I have had my Golden Retreiver since she was six weeks old (she has an upcoming birthday on May 27, and she will be ONE). I raised her, socialized her, take her to doggie day care every work day, and she is super confident; however, she is uneasy around children. I don’t want her to feel uncomfortable, and this is really the only time she shys away. She knows I am here for her and would not let anything happen to her. Lindsay is cool as a cucumber for anyone else. I adopted a rescue dog named Kelly from an animal shelter that was due to euthanize her. She isn’t even a year and a half yet. She is a mix breed of unknown origins. I have problem after problem around people and other dogs. I accept that she is my “problem child”, but she deserves a happy home none-the-less. If people are in the home I put her on a leash and keep her by my side. She is more comfortable in this manner whereas she knows I am here to keep her safe. Over the last 3-4 months since I adopted her she has built a strong bond to me, and trusts me. I realize she has a lot of work to do, but I also know she had a rough first year and never want to bring her back to that original environment. This is her home and I won’t give up on her. It does make my life more difficult at times, but she also goes to the doggie day care where she has friends and a relationship with the staff. Strangers are always going to make her uneasy and it is my responsibility to make sure she is safe as well as the person she comes in contact with. She is such a sweet pea and very playful now. Building her confidence is worth the time and effort. Instead of putting so much focus on the dog,why not teach people not to touch your dog, not to talk to him, and not to make eye contact? This is respect, in dog language, and can be immediately relaxing to an uneasy dog. As the dog realizes that no one is going to be squealing at him or lunging at him with outstretched hands (how would you like that?! ), he can relax and approach people himself. People can touch him under the chin and on the chest, not the head. 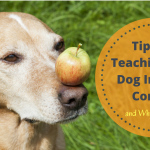 This technique is much less stressful on dogs and builds their confidence. (If you try it, please let me know how your dog did). Let the dog set the pace of how fast the interaction is to go. Good luck. People can be very hard to control. Yes, I agree these are good things to remember, but some people just don’t listen. I agree with Margie 100%. We have to be our insecure dogs advocate for them to feel comfortable and secure. Open your mouth and let people know and be serious about it so that they DO listen. It’s that important. I recently adopted my one and a half year old mini schnauzer from the breeder, who took him back because the wife of the family did not like him, resulting in his fear of being with stangers. As per the breeder ‘s suggestion, when strangers come to the house, they are told to ignore him, no eye contact, etc. This has really worked out because eventually he will approch them, sniff and offer his head for a scrath or two, and later jump up on the sofa to inspect them more closely. By the end of the visit, he is calm and will even try to walk them out the door. I’m glad this is working out for your dog and even gladder you had the sense to apply it! Actually, this is how all dogs should be approached – it is just good manners in the dog world and they respond with gratitude and respect back. 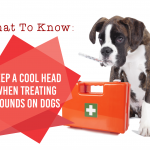 Keep up the good work with your dog! When I got my 3 month old puppy I had my granddaughter with me and this puppy absolutely adored her so I picked him. Then I dropped her off and discovered that he was terrified of people but loved kids. To make a long story short, after I got past his teeth and spent a cuddle session with him I had a dog that growled at everyone else and was so terrified of people I had to drag him off the yard to walk him. Since he is a bull mastiff and going to be a big boy I decided socializing was in order. I haven’t stopped him from growling. Usually after the 3rd visit in my home he decides people are ok and then treats them like a chew toy, something I have to get under control but right now I am just happy that he gets to the point where he interacts and likes them. The girls at doggy day care are great and at the dog park people just want to pet him because he is a gorgeous puppy so with the distraction of other dogs he gets petted and has come to accept it. Then we moved on to people out walking at the same time as us that don’t have dogs, I would caution them to go slow cause he was shy and we are getting past that hurdle as well. I don’t like giving people treats to feed him because I would prefer that he doesn’t eat things from strangers but in his case it is more important for him to realize that good things come from people and to build the trust. He is now 8 months and I am pleased with his progress. Occasionally he still snaps at people but never with the intent of actually landing the teeth on a person. It is just a warning. The snapping I discourage. The growling I don’t. He is super affectionate and loves me big time. Sometimes with the drool that is hard to take especially when I am getting ready to go to work but I am totally in love with my dog. I guess after I get him socialized the next step is to get him to stop eating my house. And I mean that literally. He is already 100 pounds with a big mouth that can take a chunk out of a lot of things. Cayenne pepper just produces the challenge of discovering what I missed peppering. He is quite willing to play that game. He enjoys a mental challenge. He knows how to open cupboards, reach under things with his paws or scoop them closer if it’s out of reach. He enjoys making me laugh. He extends his time playing with his food as long as I’m still laughing and paying attention. He has discovered that getting into the bathtub is just another step. I now have a shower caddy up high with my soaps and stuff. I’m sure it won’t be long before he will be turning on the tap for a drink. He is so smart it is scary but fun. My thoughts are that the timid dogs are the sensitive, smart, artistic type and need to be catered to more just like movie stars to bring out the best in them. Worth the extra work for sure. I am raising a labradoodle puppy to be my next Therapy Dog partner. his signals when he’s exposed to new situations so he doesn’t get forced outside of his comfort zone unnaturally. Then, hopefully, his natural curiosity will keep him exploring and finding new places and new people very interesting and enjoyable. I have a puppy (about a year and a half) who growls when you play with him. Sometimes when I love him up, like hug him up, he growls and howls while his tail is wagging like mad. If he is laying on my bed and I grab him under his neck to play he will growl and wave his little legs in the air. Should I worry about this behavior. When we play and he “bites” he NEVER bites me, just puts his mouth over my hannd,etc. He is a very lovable dog, and loves to lay against me, or sometimes over my legs when I let him on my bed. I don’t let him on my bed all the time, and he still sleeps in his kennel. I just wonder about the growling thing sometimes. When we play throw the ball, he always walks in circles growling away before he comes and drops the ball so I think it is all about playing to me. But I sometimes think I should stop him from the growling part. Should I? Thanks for any advice. I love this little guy. He is a joy to me other than this part. I feel like I failed him in the training area somewhere or he wouldn’t growl so much. Growling can be play…but be careful. My dog is extremely friendly with people but when it comes to other dogs she is not aggressive by any means but will growl if another dog invades her space or becomes aggressive at her. I want her to more relaxed and not growl and have been scolding her for the growling which looks like the wrong idea. Any other suggestions? She will never approach anothe dog on her own especially if I have a ball in my hand, she only focues on me. Keep that focus on you and hopefully she won’t care then reward her with the ball if she is accepting. Just like trying to keep people from touching your insecure dog, you can try to keep other dogs from your insecure dog by telling the owner to get their dog. 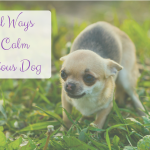 But don’t sound panicked and don’t yell, or your dog will wonder what you are so upset about and her behavior will escalate. Thank you for writing this article! We adopted an 18mo old westie mix 3mo ago who was described by the foster mom as a “happy dog” — with people and other dogs. We noticed this was true at PetSmart where we adopted her and were so pleased to get a happy, playful dog for our 5 kids and a seemingly well-socialized dog as an exercise partner for me. Needless to say when, 2wks later, she started to growl at the world (even people and dogs on the path a block away), I was extrememly surprised and disappointed. Obviously she had bonded so tightly to our family and to me that she wanted nobody or nodog included. I have slowly, slowly, slowly been working on socializing her and there are encouraging steps. (Using a tennis ball is better than hotdogs! — thanks Chet for that tidbit)! I admit though that I need to get over my jealousy of all the happy, outgoing dogs we see at a safe distance at the park, but your article about accepting where she’s at and working with it is great encouragement for me. 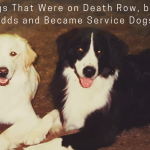 There’s others out there — even a professional with a dog raised under her care from puppyhood that has socialization issues — who are staying the course and working with the dog given them. Thanks for sharing. I have dog sat several ‘growlers’, one a Yorkie and another a Shizu. I’ve decided that the Yorkie is just very vocal and it’s play growling. Over time, she stopped growling at me, but continued to do it with her owner. Not sure why. I never learned to read the Shizu, who also growls at his owners, so don’t sit this dog any longer. I have a 4 mo. old male pitbull puppy. We started puppy classes yesterday & he is showing a lot of aggression toward some of the other puppies in the class. He tried to go after a 12 wk old australian shepherd. Go after, meaning his body got rigid, tail stood straight & he was growling & making horrible noises. The trainer said pitbulls talk alot but I think he was doing more than talking! I pulled him back to me cuz he was on a leash but he wanted that puppy. If he is showing this behavior now am I in for big trouble?? I am planning to get him fixed but the vet said 6 months. We have a 5 yr. old female dog at home & right now they get along ok but I worry when he gets bigger. Any advice?? This is not normal and I agree it sounds like aggression. Stiff high tails are often a sign alone, but when you add the growl that is even more definitive. I would get him neutered NOW. I always got my pups neutered at 16 weeks. Next I would go and get him a gentle leader so that you have control of his face. Take him to as many classes as you can until you have a handle on this behavior. This was very good. Thank you for sharing all the stories. Our family lost the “love” of our lives -a 15 year old Collie/Shepherd mix in November of 2011. Sweetest temperment ever- obedient and smart. Never worried about what she’d do around people-strangers or family. Never had to worry about food aggression/growling-or if she’d tear up the house when we were gone. Well– in mid December we got Sadie- a shepherd mix (with some kind of digging breed..lol) and let me say she has improved greatly- but we often wonder what must have been done to her (if anything-really )and the litter she was with by the time we got her. I say that because soon after we got her we started noticing the fear in her. Fear of not being left alone when she gets sleepy (growls). Fear of not getting to eat her food (growls unless it’s primary food giver). Immediate fear of people (but gets over it). 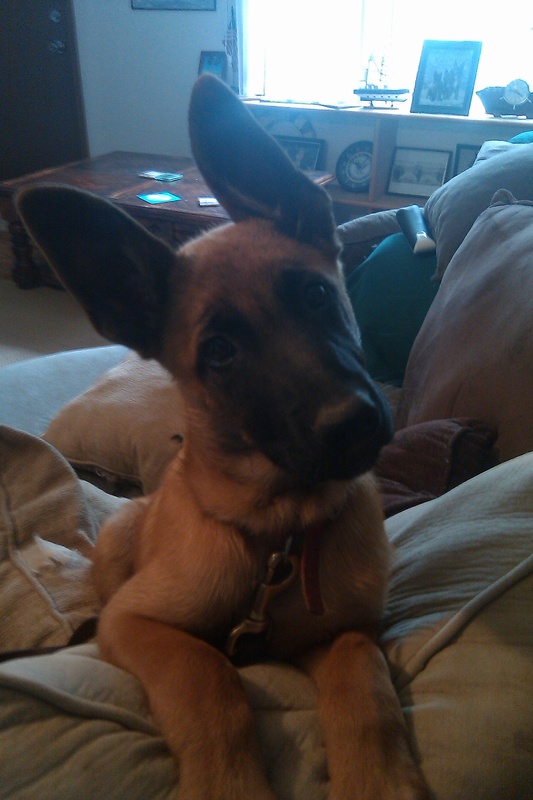 She had about six weeks of obedience training (which she will need a refresher at some point soon) and did great. We just have a hard time not comparing her to our previous dog. We know not to-but it’s hard. Growling is one thing that’s scary and I can tell now (and so can the rest of the family) what her tipping points are- so we just put up with it. It is better not to corect in those situations considering she is slightly fearful. She has growled less and less and we try to build her confidence-showing her love and that we’re not interested in her food. Good luck to all with this type of personality in their dog-they need your patience, love and commitment. This sounds like possession aggression to me and you are right, chewing and toys are then a privilege to be earned. I use to hold my dog’s bones and toys while he/she played with them so they got the idea that he only got them if I was attached. Put a leash on him and when he gets snotty remove him from the area until he drops the item and then remove it. Also work diligently on obedience so that he has rules and needs to work for you and listen to you. He thinks he is too big for his britches right now and so he needs to have rules instituted in order to start respecting you!! This article comes at a great time. I have three litter-mates, all female, who are 6 months old, chihuahua and JRT mix. The smallest resembles a chihuahua the most, and altho she is cuddly and so sweet with us, I had to take them for their spaying this morning, and she nearly bit the lady who was putting an ID band around her neck. When I put her in the carrier, I noted she had voided also. My daughter had warned me she was anxious around other people and we have worked with her about this, but I see now fussing at her for growling is not a good idea. We will continue to try and socialize her; it would be a shame for her not to receive the love and petting she deserves from everybody. I have a 1 year old german shepherd pup. I’ve been having issues with her since we got her at 8 weeks. Both of her parents were very loving and friendly. Around 12 weeks of age, she would growl at anyone and everyone besides my boyfriend and I. She has never been beat by anyone for her to be scared. She will still growl at anyone she is not familiar with and will continue to growl at them for 20 minutes straight if they are there that long. How can I get her to realize that she does not have to be afraid of people? BTW, she has never snapped at or tried to bite anyone when they approach her. Growling is a precursor to a bite. Don’t think that it is not aggression or will not be followed up with a bite. You have to teach her that people aren’t scary by rewarding her for not growling and accepting people. Give her treats for giving you eye contact when someone comes over. don’t allow them to talk to her or pet her or even approach her. First build her confidence by rewarding her for not growling and doing something else. Eventually you can have people toss her treats from across the room. As she gets more confident she will learn she doesn’t have to be scared and growl. But don’t force her to socialize or get petted when she doesn’t want, or it could result in a bite. Keep her on a leash and with you at all times and slowly teach her people are okay. I have a 2 year old border aussie mix. He has multiple issues that I do not understand. He recently stopped wanting to go outside with me on walks and I think its because I take him during my lunch breaks and have to kennel him so he doesnt get into the trash until I get home. But I’m not sure of this. He used to go crazy whenever I would ask him to go outside, but now he just shuts down and rolls over, or hides. Also, he tends to take to hiding spots in the apartment and will not come to me or my room mate when we call him. Sometimes he even growls to let us know he doesn’t want to be bothered. He gets along with other people and dogs and we have not had any biting incidents, but I don’t understand the fearful behavior. Do you have any insight on this? I can’t tell you for sure but it could be something as simple as hearing a gun shot or seeing a falling leaf and getting scared. Sometimes I think herding dog’s sensitivity is too inbred so you end up with a dog that has skittish and fearful behaviors. Use treats and kindness. Never confront him when he hides, if you need to remove him from a space, keep a leash on him and pluck him out safely. Get out as often as you can so you can desensitize him and reward, reward, reward. Try using toys or balls or something he loves while he is outside to distract him and work at his speed. Hey there, I rescued a dog for north shore animal leauge and I very glad I did now, but it has been challenging. I am used to mush dogs that just wanna be loved and Wes is different. He loves us, but differently. When we first got him we realized how little socialization he has had with people. He has got A LOT better, but is still scared of new people. His really bad habit is stealing our clothes off the bed and growling and snarling at us when we try to get it from him. I know this is for attention. How can we correct this? Any help is appreciated!! Keep him on a leash, keep your clothes off the bed where he could get them, and work on obedience to change the dynamics of your relationship. If you allow him to continue this behavior, he is likely to bite you. He is warning you, and telling you he is willing to bite, heed his warning and teach him to respect you. Obedience such as sit, stay etc? What else can we teach him? Keep him on a leash all day in the house? 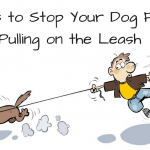 I heard keeping a dog on a leash can make them more fearful, ie they could nut run away if scared. He growls all the time when he takes stuff, but when you grab it he never bites only tries to keep grabbing it. It seems he is asking for attention and getting it as a reward when grabbing things and growling. Like a stupid game he plays. But he is willful and needs obedience. Not sure how to demand it. 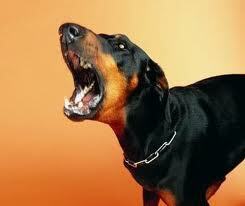 I act tough, but I am scared of his growls, often my husband takes things back from him. Yes, keep him on a leash all day if you have to. There is no reason this would cause any fearful behavior, that makes no sense to me. I have a 7 month old, aggressive, naughty puppy and he is rarely off leash. He just goes everywhere with me so I can ensure he is not going to pick fights with my other animals or eat something he shouldn’t… some day when he earns it he will get more privileges! But, not until then. Teach him obedience first!! Then you can teach him trick training. Chet is going to have a new program soon all based on trick training. The more he knows the happier he will be but for right now, he needs to understand when you say something you mean it and to stop the growling behavior. Yes, take it away. You never know when you might walk past it and she might attack you. I have a 10 month old pit/lab pup thats recent started growling at my husband in the morning when removing him from being snuggled in bed next to me. He only does this in the morning. PLEASE HELP! I don’t know how to correct him. He just started growling last week. He can’t sleep in the bed if he is doing this. Get him out of the bed and into a crate at night and get him some obedience training so he learns some respect of your husband. Some very good reading and input regarding this subject. I work at a local shelter and we have a 4 year old peekapoo who nips. Stella is in a boarding facility and no longer bites me or any of the staff there. She has been there over 2 years now. Everytime I bring a potental foster parent or adoptee to meet her she will nip at them. That explains why she is never going to get adopted. This blog has given some insite as to why she acts this way with strangers. Being a non profit no-kill shelter she is hurting us emotionally as well as financially. I have had similar issues with a King Charles Spaniel, from a rescue, he was 6 when I got him 15 months ago. All I know about his owner is that he was in a wheelchair. I have tried various toys, balls etc but he doesn’t ‘play’ with anything, when I throw the ball I have to go and bring it back (lol. He had separation issues at first but by me going out coming in again, he knows that I’m coming back now and makes a bit of fuss when I do come home from work etc but only for 5 seconds, I reward him with a treat. Two problems I have is (1) that he growls at any animals on t.v, other dogs, horses, etc, and makes an attack on the t.v. itself so we have to stop him by raising our voice to stop him. This is the only time we raise our voices to prevent the t.v. being damaged and he knows hes doing something wrong because he stops straightaway. Its taken him a year to settle down and enjoys his routine, he loves going for walks at the same times every day, dog chew for breakfast, meal at same time. Always water in his bowl. When he does comes to be petted he gives out mixed messages, wants to be petted, then growls and sometimes playfully snaps when he’s had enough. I’m working on this and I think in time he will be more ‘sociable’ and less wary. Any help would be appreciated if anyone has had similar issues. I have a 19 mo old spayed female standard poodle, usually with good recall. She is very friendly to people and dogs she knows and very shy of unknowns. She plays regularly with a nice group of dogs in a large field and she loves to get them all to run and chases balls and rolls and plays nicely much of the time. Lately she has a “thing” about an adult female lab and will bark right into her ear (lab ignores her, but is clearly bugged) until the owner throws the ball and his 2 labs run, my poodle runs also but not for the ball, for that particular dog. When she is intensely barking at this lab, she won’t come or be “caught” but runs from us. It is frustrating for the owner, his dogs and us. I am planning to keep her leash on so she can be caught and stopped when she does this. Last time, I leashed & removed her and just walked her home with lots of heeling and general obedience. His dogs haven’t “corrected” her yet. Last week She got the whole group into an aggressive mode. She led them to run in large circles then the group got hyped and aggressive. Owners all held their dogs until they calmed down. It seems like overexcitement to me and her frustration at not being able to engage this dog to play with her. She doesn’t bite, and quickly “corrects” other dogs who try to mount her and responds well to other dog’s corrections well. But this well behaved dog focused on her owner just ignores her. She is very exuberant, agile, and intelligent. I’m feeling like the dummy with her as I can’t change this behavior with a pull out, calm down maneuver, any ideas? I’m afraid it will keep getting worse and she needs the high level of exercise that this group provides. I have a 3 year old Corgi who has been slowly (and begrudgingly) accepting my boyfriend as another male in the house. Now he really has not behavior problems except that when he see’s my boyfriend, he runs up to him, wagging his tail and everything, jumps on him and bows his head but as soon as he goes to pet him, he growls, though he doesn’t move or show any other signs of aggression than the growling as he continues to wag his tail and stay there. What can I do? And is my do even doing something wrong? I think he’s only growling because he smells cat on him. Dogs don’t growl because they smell cat. and put him on a leash and make him comply to obedience when your boyfriend is around so he is not bullying him. I have a American Stafford Terrier Mix and he does get along wIth smaller dogs but not bigger dogs like Labs and he’s only between 50 and 60 pounds. I tried to introduce him to My Family’s Black Lab on a leash off a leash in the house and he growls and jumps at their Dog but we’ve grabbed him before he did any damage even if he won’t I still am careful I now have had him for a year and still he refuses to get along but he is fine for a little but when he isn’t in his space but once their Lab gets in My Dog’s bubble he growls and jumps on the other dog going for the back of the throat or ears. I know he Diezel was used for bait when he was a Puppy and was rescued by the ASPCA and has been in a home for 6 years before he came to be My Dog I want to work with him on getting along with other Dog’s but My Family won’t take the chance I don’t have the money to train him but I really need to have it resolved incase I move and get another Dog like a Female or another Male. 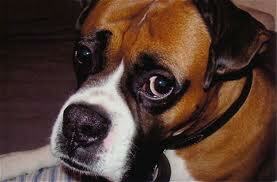 This dog is telling you he doesn’t want to live with another dog, I would heed what he is saying.